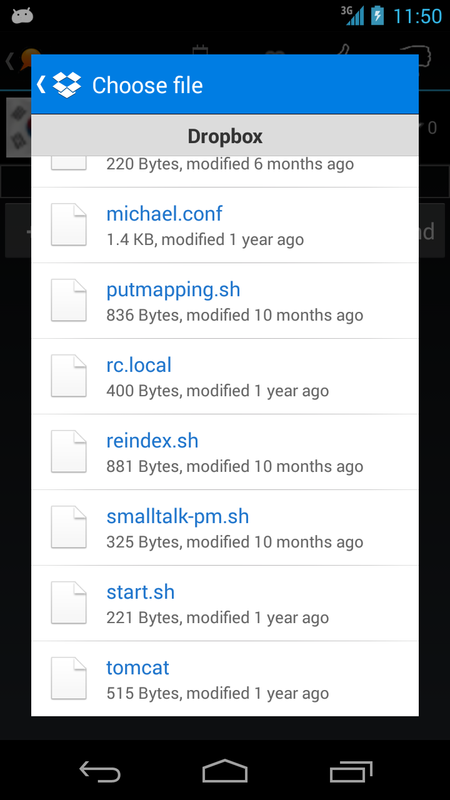 SmallTalk v3.1 has been updated to meet the new Android UI guideline. Best Users tab added for the users to see who are receiving more thumb-ups among users. Users who receive more thumb-ups in the chat screen are up in the higher rank. Besides, thumb-down block the user and also decrease number of star. With thumb-down feature, you can opt-out annoying, stalking users and get peace of mind. Sending file to peer has been made easier than previous version, with new DropBox SDK, after authenticating, just choose the file in the list of chooser and then the DropBox link of file would be delivered.